Liverpool lacked confidence and guile on a frustrating night at Anfield but this no time for concern as the gap at the top of the PL was extended to five points. 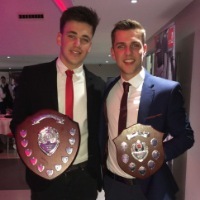 A night that seemed destined in Liverpool emerging as runaway leaders was instead an evening that further showcased this title-race will certainly see many more twist and turns before a trophy destination is decided. For the first time this season, the Reds dropped points to a team outside the top-six as a resilient Leicester City outfit eased the pressure on under-fire boss Claude Puel to take a deserved point away from Merseyside. However, it should never have been this difficult for Liverpool to keep their composure on a night like this. As temperatures plummeted to fresh lows, the Reds couldn't keep their cool in the bristling cold and missed the opportunity to extend their lead at the top to seven. Following a former Liverpool manager's role in handing the Reds an unexpected favour roars cried out from the Kop singing the name of their Champions League-winning manager Rafa Benitez who beat champions Manchester City at St James' Park on Tuesday. There was no punching of the air this time from Klopp, no late drama or the hosts blowing yet another opponent apart at their fortress home ground as Liverpool stumbled at Anfield for the first time since October. A potential seven-point lead went unpunished tonight. Despite a potentially missed opportunity, there is no time for doom or gloom or an obsession of what might have been as the reality doesn't lie. Liverpool have still strengthened their grip at the top over the course of the week. With 14 games to go, the Reds are in a dream position to secure their first league title in 29 years as Liverpool continue on their record-breaking season. 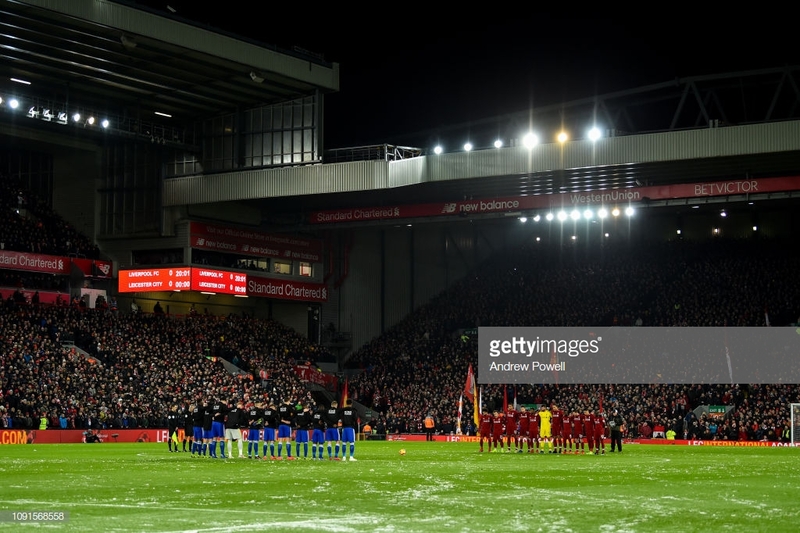 A week dominated by the weather forecast took its place tonight as Anfield gleamed in white from the frost as the icy playing surface made life rather uncomfortable despite the league leaders getting a dream start following Sadio Mane's opener. A goal inside three minutes - their quickest of the season - should have inspired the Red to lay a stranglehold on the remainder of proceedings as Liverpool dominated 72 per cent of possession to little effect. Leicester skipper on the night Harry Maguire took the contest to Liverpool and was immense at the back for the Foxes. The World Cup semi-finalist restored parity in the dying seconds of the first half as the Reds lacked composure and showcased signs of panic. However, despite the nervousness amongst the fans and the growing tension on the sidelines, Leicester's goalscorer can be considered fortunate to have still been on the pitch when he stroked home the equaliser. Maguire committed a blatant and cynical foul on Mane looked goalbound before the Englishman hacked him down only to see yellow. Lady luck continued to elude the Reds when they were denied an obvious spot-kick when Ricardo Perriera dangled a foot and chopped down Naby Keita only for Martin Atkinson to wave away. Liverpool have been a team obsessed with the rub of the green going their favour but tonight the Reds halted in the face of adversity. WIth an injury list mounting higer than Everest, with the likes of Trent Alexander-Arnold, Joe Gomez and James Milner also missing from selection and Fabinho only deemed fit enough for a place on the bench, Klopp was forced to utilise Jordan Henderson as a makeshift right-back. Despite it appearing an unfamiliar role for the Reds skipper, Henderson emphatically delivered a stellar and tireless performance on the right-hand side. Virgil van Dijk recovered from illness to start but the usually impenetrable defender was guilty of napping on a couple of occasions including losing Maguire for the equalising goal. Liverpool dominated from the start on an Anfield pitch kissed by snow with the Reds determined to whether the storm. Their efforts were immediately rewarded when Mane sent the Reds off to a flyer opening the scoring inside three minutes to cap off a fine 30 pass move. The Senegalese ace alongside Andy Robertson and Roberto Firmino all played a helping hand in the Reds flying out of the blocks before Mane curled a right-footed beauty into the bottom corner. Klopp has so often played down the Reds current illustrious title credentials and this was embodied in his celebration as the German froze emotionless in the freezing temperatures. Liverpool attempted to start with a massacre with one-way traffic heading Puel's way. Firmino was denied by Kasper Schmeichel after dancing around Pereira forcing the Dane into a fingertip save. Benitez continued to ring around a sold-out Anfield as Merseysiders chanted their delight of their former boss masterminding a rare victory over City - something the Reds have failed to do all season. As the game went on Liverpool's dominance transcended into a panic. Their grip on proceedings began to loosen and Leicester began to grow in stature. A number of counter-attacks attempted to threaten the cautious Reds with Alisson Becker personifying the nerves on show in such high stakes. The Brazilian committed a calamitous blunder in the reverse fixture at the King Power and the Liverpool shot-stopper was guilty of almost gift-wrapping Puel and his team an opening back into the contest when the 25-year-old got nerves jangling with some questionable footwork. Alisson was almost robbed from possession with Jamie Vardy showcasing his predatory instincts lurking to close the goalkeeper down. The ball shifted carelessly to Marc Albrighton who expertly put it on a platter for James Madison who astonishingly nodded wide - it really was harder to miss. As perennial nerves shifted the mood to trembles in the crowd Klopp turned around in an effort to shun any nervous minds with a gesture for supporters to calm down. Fine margins are so often a regular factor in the outcome of these title-chasing fixtures and the moment on the first half hinged on whether Atkinson was prepared to abide by the rules of law - in this case, the 47-year-old bottled it. Robertson's through ball would have had Mane blistering on goal with his electrifying pace but the forward was purposely tripped by Maguire which Atkinson deemed a yellow rather than red. It proved to be an ironic moment for Liverpool as Maguire shattered the mood to equalise on the stroke of half time nodding in at the Kop before folding his arm motionless in front of the enraged Reds supporters. An utterly needless goal that stemmed from a careless free kick. Robertson chopped down Mendy who had his back to goal before Ben Chilwell headed back in the clearence where Maguire eluded Van Dijk to head home. As the equiler brushed into the Anfield net Leicester suddenly looked a team united with confidence. Madison - who impressed at the King Power back in September - had Reds fans mouths in hands when the England international skipper breezed passed Matip but failed to convert. An even better oppurtunity presented itself moments later when Maguire struck Maddison's set-piece back across goal where Firmino was lurking to snap at the ball and make a crucial touch before Alisson hacked clear. Anfield began to attempt to lift the mood and revive a confidence that seemed lost in this Liverpool performance as the Reds never looked like fathoming a winner. Keita was given a rare chance to showcase his talents in the middle of the park and came alive with an exquisite piece of play with a Firmino when the Guniean and Brazilian linked up with some slick intricate play before the midfielder was hacked down by Perreira for a surely nailed on penalty. Atkinson waved away and Anfield erupted into chaos. Keita held his hands across his face still waiting for a moment to ignite slow-stalled Liverpool career. Klopp made the double change of Adam Lallana and Fabinho who replaced Xherdan Shaqiri and Keita in the hope of inspiring a late winner. However, it was Puel who threatened to steal a victory when Dimarai Gray was unleashed at goal with Maddison lurking across the box but his international compatriot fancied his shot at glory and fired straight at Alisson. It proved to be the last real threat of the contest as Liverpool dropped points at home for the first time since October whilst continued their record of snatching points from the top-six. A potentially missed opportunity but no harm can be taken from tonight with the Reds illustrious title credentials still firmly on track.